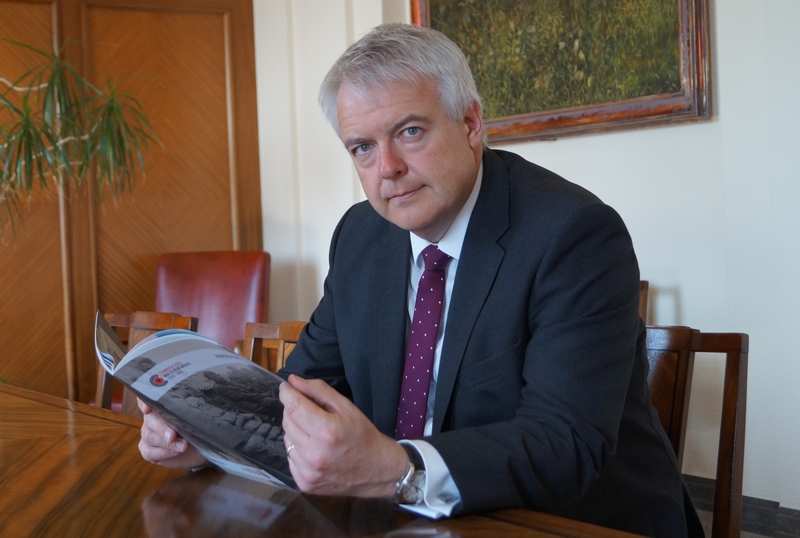 On the eve of Anzac day, First Minister of Wales Carwyn Jones will today attend the unveiling of a special centenary sculpture which is on display in Wales as part of the commemorations for Welsh soldiers who died 100 years ago at the Gallipoli landings. 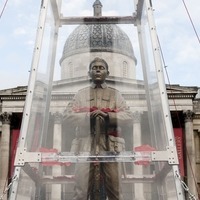 The 7.5 metre sculpture, designed by Mark Humphrey, features a detailed brass First World War soldier and is part of the Royal British Legion’s Every Man Remembered campaign. First unveiled in Trafalgar Square in London, it is on a four year tour of Great Britain visiting a number of locations across the country. The sculpture will be displayed in Cardiff until 5 May. As part of the Cymru’n Cofio Wales Remembers 1914-18 programme, The Royal British Legion has worked in partnership with The Welsh Government, the office of the Lord Mayor of Cardiff and The Firing Line Museum to mark the 100th anniversary of the start of the Gallipoli Campaign. 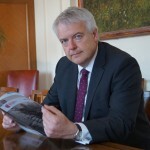 First Minister Carwyn Jones said: “It’s a great honour to welcome the Royal British Legion Every Man Remembered Sculpture to Wales. “This superb statue is a fine example of the vital role the Royal British Legion plays in ensuring our servicemen past and present are remembered and supported. The Legion leads the way in enabling us to honour the service and sacrifice made in many conflicts at home and abroad. “Tomorrow I will join Her Majesty the Queen and other political leaders at Westminster Abbey and the Cenotaph in London to remember and pay respects to all of those who took part in the Gallipoli campaign. Phil Jones, Area Manager Wales, The Royal British Legion, said: “In the years which mark the Centenary of the conflict which gave birth to the poppy as a symbol of Remembrance and hope, the Legion’s role remains as contemporary and as vital as it has ever been, upholding the memory of the fallen and supporting the future of the living.